No Promises: Insurgent Teachers strike in West Virginia – Whither, Appalachia? The strike, which started almost as soon as it was discussed, took both the Teacher’s Unions and state government by surprise. Enraged by extremely low pay (48th nationally) and rising insurance premiums through the West Virginia Public Employees Insurance Agency (PEIA), teachers voted almost unanimously to strike against the state government and their inaction towards the problem. The strike, which originated in the deeply impoverished southern coal field counties, such as Boone, Logan, and Mingo, spread throughout the state, soon shutting down the education system in all 55 counties. With the hashtag #55Strong and #55United, the strike quickly gained attention both locally and nationwide. Teachers held food drives for low-income kids and thousands more flooded the state capitol in Charleston. The strike would persist for eight days, becoming the longest in state history. West Virginia, with an intense history of labor struggle, was no stranger to this fight. Seemingly everyone in the state was in favor of the strike, which gained support across political divides. The state, largely in the periphery of the nation, was thrust into the mainstream political discourse. Poor working conditions, coupled with a regional identity that stretches to every corner of the state, allowed the strike to spread rapidly and polarize the state government. Some, such as State Senator Richard Ojeda (D-Logan County), were quick to offer their fervent support, becoming something of a hero to striking teachers. A popular t-shirt began to circulate that stated, “In a world of Carmichael’s, be an Ojeda,” in reference to the obstinate Leader of the Senate who had continued to push for tabling pay raise bills. While the support was certainly welcome, it was clearly an attempt to bolster his 2018 congressional campaign. Attitudes varied from typical left-liberal to an almost religious fervor among some segments of the Left and the space beyond, with some heralding it as the return of the old Worker’s Movement. This sentiment is appealing, and partially inspired by the excitement felt in the heat of the moment; however, it falls short of an accurate portrayal of the strike. Admittedly, this strike has been difficult to categorize. On February 27th it was announced that the strike would end. The various education unions – WVEA, AFT, and the WVSSPA – declared that they had worked with Governor Justice to bring about a five percent raise for teachers and a three percent raise for public employees. On PEIA, Justice simply announced that there would be a “task force” to fix its gaping problem. Teachers were told that they were to return to work on Thursday, with Wednesday as a “cool off” day. Some media outlets even declared it to be the end of the strike , including left-wing ones such as Jacobin, and began publishing a litany of stories concerning its demise. The teachers had little say in this “deal,” and immediately rejected it against the advice of the union. While county presidents and other local leaders were in the capital learning about the upcoming injunctions that Attorney General Patrick Morrissey was soon to file, communities across the state began organizing their own “deal” with the governor – rejecting the original. Teachers were infuriated at their union and moved to continue the work-stoppage. Soon enough, superintendents were forced to cancel schools yet again, under pressure from their counties that appropriate levels of staffing would not be met on Thursday. At this point, many people were quick to classify the action as a wildcat strike. Many also mentioned union’s complacency following the initiative of the teachers. As Dale Lee, president of the WVEA, stated in an interview, “The teachers voted and we followed.” Though the teachers did not go with the union’s direction, the union followed their moves. The temptation to classify this as a wildcat strike is easily understood, and the strike is possibly illegal in a right-to-work state with the attorney general threatening legal action. The strike did not exist in direct opposition to the bosses, but was rather tentatively permitted to proceed. Schools were allowed to be shut down by the superintendents–the days that were missed would count as snow days, to be made up by an extended semester. West Virginia teachers, unlike many public employees, have no access to collective bargaining. Any potential raises or similar issues are not agreed to by union representatives, but voted on by the state legislature. Even if the possibility of collective bargaining existed, many striking teachers were not union members. Indeed, when the state associations asked for a vote of authorization to declare a statewide work stoppage, they permitted non-union members to participate in these proceedings. The strike was instead a strike against the state in all uses of the phrase. From there, it would take the form of a tug-of-war: teachers on one side and the legislature on the other. The attitude at the capitol during the strike’s final days was one of uncertainty. The legislation intended to satisfy the teachers’ demands was stalling. Bills were amended with various pay raises that did not meet even the original five percent. Mass rallies grew and schools continued to be closed. The legislation’s stubbornness towards meeting the demands allowed the state of affairs to remain in a deadlock, with pressure from the teachers beginning to culminate into larger and larger rallies. Politicians such as Justice started to apparently turn in favor of the strike, telling the teachers not to back down for any raise less than five percent – only to later declare on Talkline with Hobby Kercheval that he never agreed to a five percent raise. The only thing certain was that the strike would continue until at least one demand was met–a five percent pay raise for all public employees. At this point, many questions had to be asked. Though the strike was still in full effect, it was unknown what more could be done. While all radicals have their own preferred solution – revolution, communization, insurrection – these clearly exist outside the strike’s limitations. There is no doubt that striking workers are more open to both radical expression and opportunism alike. Nonetheless, the attempts of various acronym groups to mold the strikers to their preferred ideological projections fell flat. The Charleston area was left without mass workers’ assemblies or low-level sabotage, a space in which radicals failed. Instead of workers’ assemblies, radicals including the West Virginia IWW urged workers to stay in their reformist union or maybe dual card, worried that radicalization of the workers would play into the Republican strategy of damaging unions by associating them with radical politics. * It was as if radicals were concerned with workers being too radical, at a time when radical action was most necessary. Citing a “red scare” among teachers, some nominally socialist organizations even discouraged members from joining picket lines. The strike was a strike for itself. Its limitations were assigned early on. It is overly optimistic to view it as something greater than its demands. Any opportunity for it to become a general strike is in the past. But the strike was a demonstration of the potential for radical autonomous worker action in the 21st century. The teacher’s original refusal of any potential deal between union bureaucrats and the governor, followed by the continuation of the strike, were adamantly inspiring to all. Perhaps that made it more disheartening to some when it caved a few days later for a marginally better deal. But the strike’s ability to generate public support and polarize the state’s bureaucrats speaks for the region’s rich potential. In a sense, the strike’s strange nature is a product of the precarious conditions that the state’s economy is pressed under. The lack of collective bargaining meant that the strike would be in the hands of the constituents. Weak union membership left the unions unable to hinder the workers’ militancy. The teachers’ ability to operate and self-organize under possibly illegal conditions was assisted by their irreplaceability in the face of extremely low salaries. The teachers ventured into uncharted territory and held their ground. The strike not only continued under the stress of threatened legal action, but continued for eight days with a body of workers largely unexposed to such action, let alone one so unique. In the end the teachers got their five percent raise that was also expanded to all public employees, but the future of PEIA remains in the hands of a task force, and the future of seniority in the state’s education system is still uncertain. It is also uncertain where this money will be coming from, with the Republican legislature attempting to divide class power by threatening to take it from the Medicaid surplus, though Justice says that this option is not on the table. The solution to this could also come in the form of a large severance tax on natural gas and coal corporations, but a special session to pass this is untenable in the Republican-dominated legislature. The legislature has since refused that option, citing the potential for such corporations to move to Ohio or Pennsylvania under such pressure. 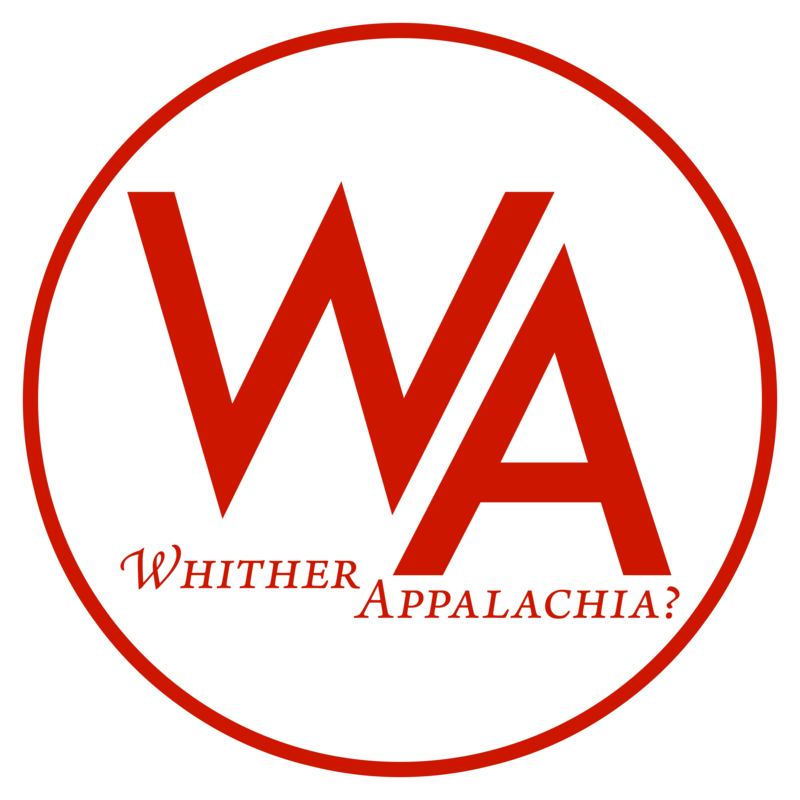 The inability to pass a severance tax has reversed a decades-old West-Virginian loyalty towards these industries, forcing workers to question the role of resource industries in Appalachian social order. This shift in class consciousness has allowed new windows to open as teachers and their supporters throughout the state have begun to tentatively turn their backs on the region’s largest industrial capitalist class. Many have already been quick to classify this strike as a “win” or a “loss.” One of the demands being met could mean a “win” for the teachers, especially in such a dire situation. But debates of this sort are tedious. The strike is over. Though some may see it as a return to normalcy, workers throughout the state now hold a newfound militancy. With much of the future of West Virginia Education still in the air, continued action is never out of the question. Public employees still have no collective bargaining and mass unionization has not yet come into play. The form of this action could be mirrored in other instances of class-struggle to come. What was seen in West Virginia–its failing healthcare, its stagnant salaries, and broken public insurance system–is not confined to the state alone. The grievances of the teachers and the precarious conditions they live in can be seen throughout Appalachia and the greater United States. As the attention begins to draw away from West Virginia, the future of the newly formed Teacher’s Movement depends on an honest assessment of its strengths and weaknesses, as well as its ability to learn from its counterparts. What must really be inferred from the strike is not only in its outcome, but what it was and what that means. These questions are critical, not only when concerning the teachers, but also the future of class struggle in the state. Any strike or radical action is always a wager. There are no promises. *Addendum: the West Virginia IWW still called for a continuation of the strike before it was declared that it would continue. The WV IWW also pushed for strike committees, which were already being organized to some degree on the ground on a county basis. Dual carding was only encouraged do provide workers with representation by a reformist union while still being able to be a part of the IWW in case of legal action. The county by county basis of the strike’s organizing, coupled with the strike’s unpredictable nature and subsequent exhaustion made it difficult for the WV IWW to organize beyond these limitations. Each county was also not notified when to end the strike, which further prevented a more singular form of organizing. With these limitations in place, the WV IWW still worked hard on the ground to organize to the best of their ability and continues to gather strength in the state and region. We apologize for any erroneous portrayals given towards the WV IWW.